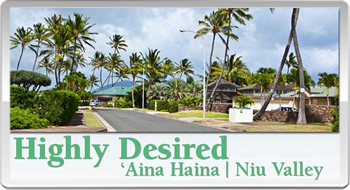 Island Home Life Helps You Learn More About Aina Haina, Hawaii Real Estate. The very best of Oahu’s iconic ocean views are what characterize the neighborhoods along Kalanianaole Highway, from the Waialae Country Club Golf Course to Maunalua Bay in Paiko Lagoon Wildlife Sanctuary. There are many ridges with view properties in the ZIP code, which make the area desirable for local and foreign buyers. 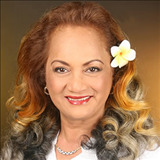 ZIP code 96821 runs mauka and makai of Kalanianaole Highway in East Honolulu, between Kahala Mall and Hawaii Kai. It includes oceanfront estates, Hawaii Loa and Waialae Iki ridges and various valleys, in addition to Aina Haina and Niu Valley shopping centers. 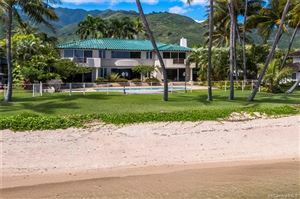 It abuts Hawaii Kai ZIP code 96825, the state’s second-wealthiest community.